We check over 450 stores daily and we last saw this product for $1,328 at Macy's. A lustrous touch. 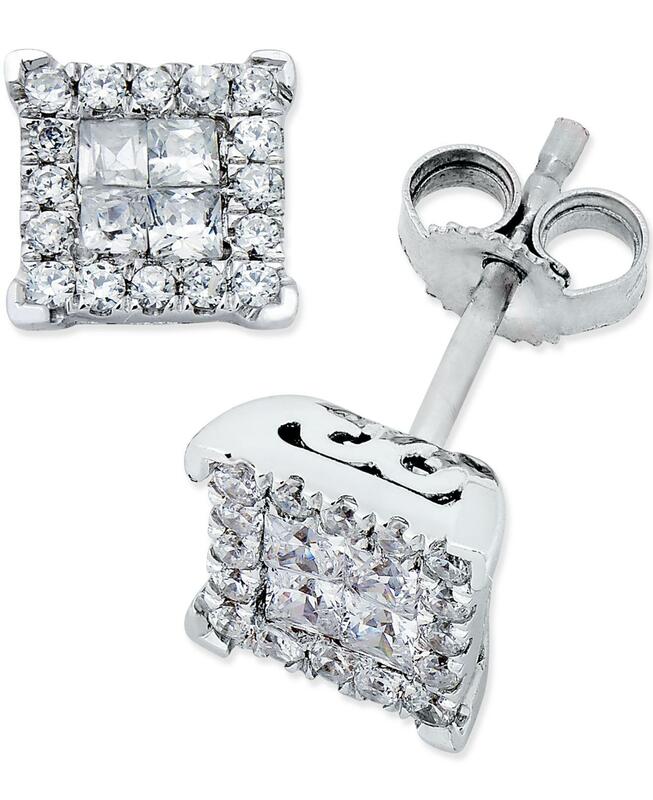 These eye-catching stud earrings sparkle with full-cut diamonds (1/2 ct. T. W. Set in 14k white gold. Approximate diameter: 1/5 inch. 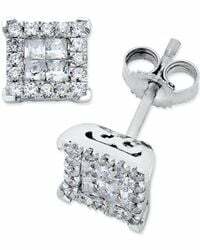 1/2 Carat Diamond Earrings. Diamond Colour Rating Code: H-I. Diamond Clarity Rating Code: I1. Diamond Cut: Full. Push-back closure. Almost all gemstones have been treated to enhance their beauty and require special care. All gemstone carat weights (ct. T. W. If mentioned, are approximate; variance may be. 05 carat. Almost all rubies are lead-glass filled. Surface cavities and fractures are filled with glass and glass-like substances that contain lead. Emerald is usually penetrated with oil, wax or resin to improve appearance. Often dyed with colour agents. After delivery, visit a Macy's store with your dated receipt and jewellery purchase to sign up.